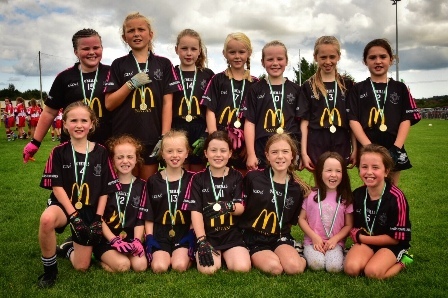 The under 9 girls “Little Ladies” enthusiastically participated in the Duleek/Bellewstown annual Blitz on Saturday. Playing against Oldcastle, Duleek/Bellewstown and Dunboyne they showed great teamwork and strong core skills. Many thanks to the family support from the sideline today and for all the training on Tuesdays and Fridays. This puts the girls a great base to head into the U9’s Little Ladies Autumn League.